Our team is ready to assist you with all your playground and recreation needs. From schools and churches to recreation departments and home owners associations, and everything in between! 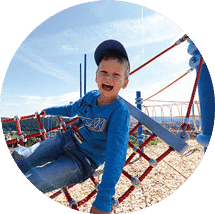 Clibing in a three-dimensional net helps children to develop and improve their psychomotor skills. 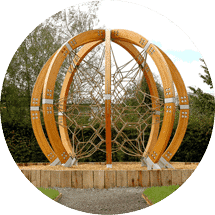 The Globe has an outer frame mde from glued laminated timber! Music is found in every culture! 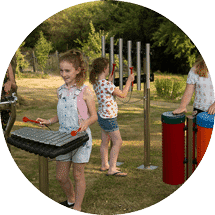 Our instruments make perfect additions to an abundance of settings, bringing music to parks and playgrounds! We invite you to create beautiful soundscapes! The Hammock creates a place for relaxing, but it is also a superb swing for many users at a time. A unique peice to add to your play space, stand alone, or connected to play events!